For rituals to increase physical strength, energy and stamina. Use to aid study, concentration, clear thinking and motivation. Particularly useful when studying for examinations and tests. Anoint talismans to consecrate and purify them. Use for tranquility, peace and relaxation. Helps to let go of worries. Use to encourage true love to flourish. Or use in rituals to find your true love. 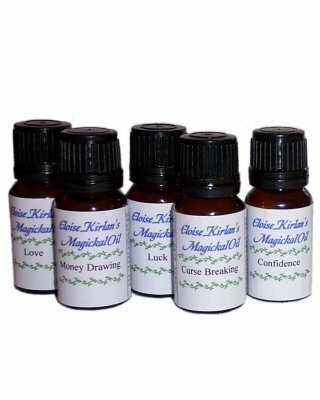 Use to break any hexes or curses that have been inflicted on you and send them back where they came from. For rituals to increase wisdom and learn from your experiences. Also to help you to avoid making the same mistakes over again..